Ryver provides an easy way to organize all your team collaboration (conversations, tasks, automated responses, and more) in one app. Organization — The admin-created team collaboration account is called an “Organization”. Admins will be prompted to create a unique domain (URL) for their team during sign up. Username — A username is used to login, and other users can @mention a Username in app to send specific notifications. User — A user can be invited to an Organization as either a Member or Guest. Be sure to keep a record of the Organization Name ([YourOrganizationName].rvyer.com), Username, Password, and email address provided during sign up. Download our Native and Mobile Apps and bookmark the Ryver Organization URL for quick, easy access on any device. 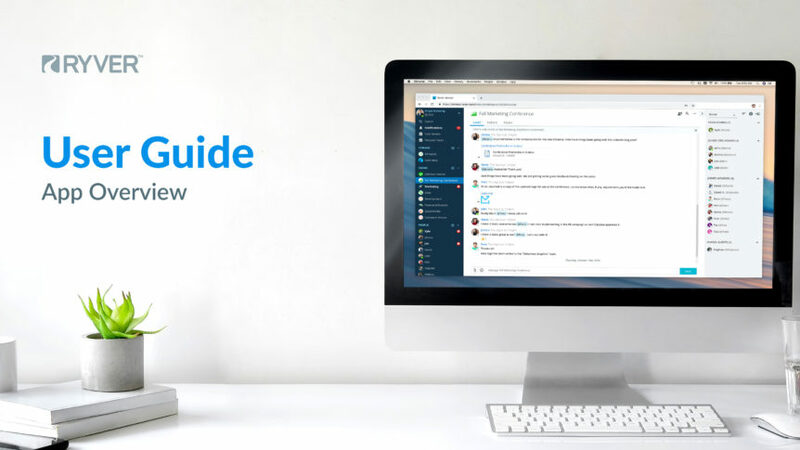 Check out the rest of our User Guide to learn more about how Ryver can help improve team collaboration. 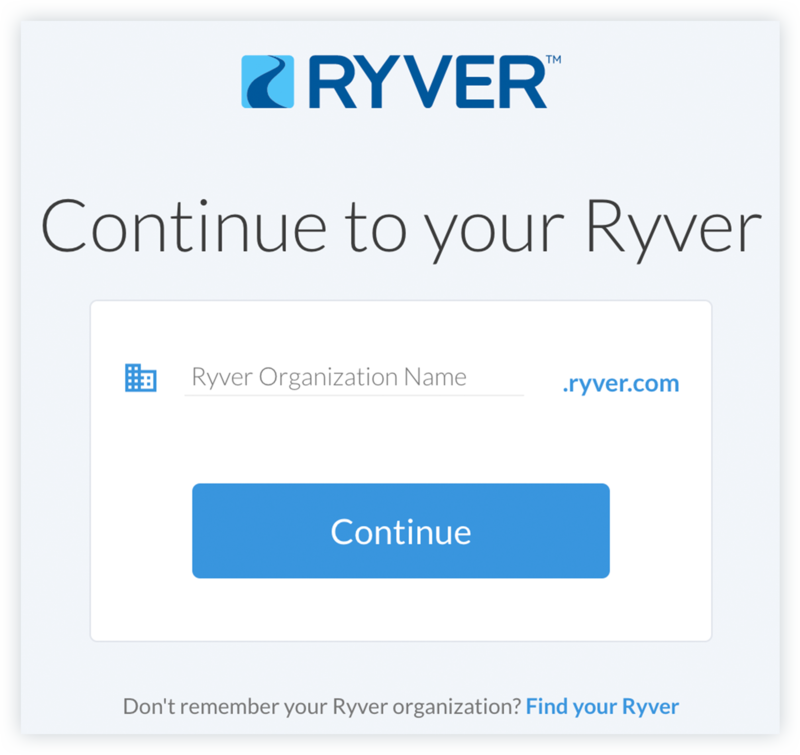 The first step of logging into Ryver is to select your Ryver Organization account. Users can login to their Ryver Organization in their browser of choice through the Ryver login page. Users who are a part of multiple Ryver Organizations can easily switch between them by logging out and logging in to a different Organization, or by having both open in different browser tabs. 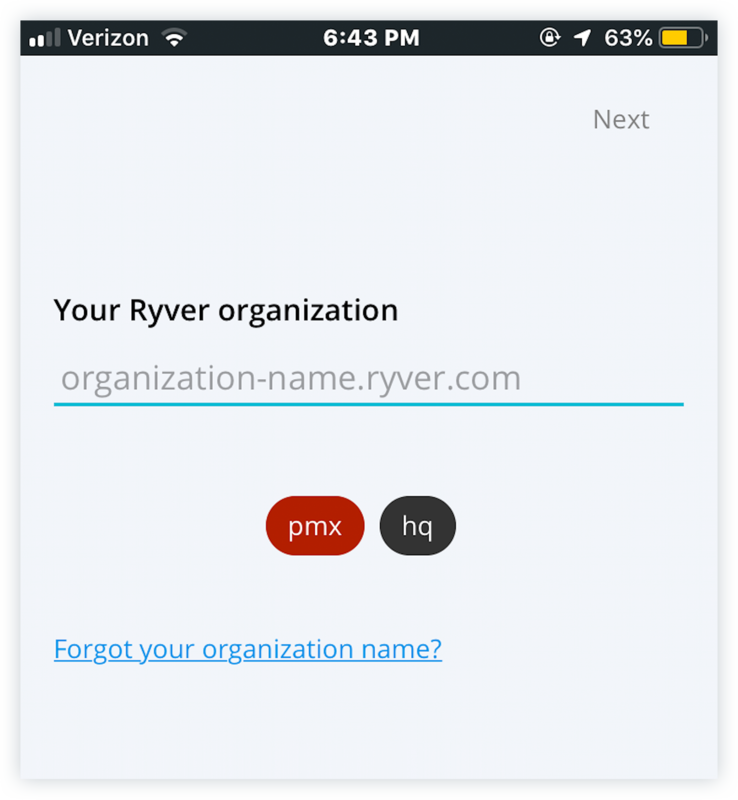 Users can login to their Ryver Organization by using the free Ryver mobile app. 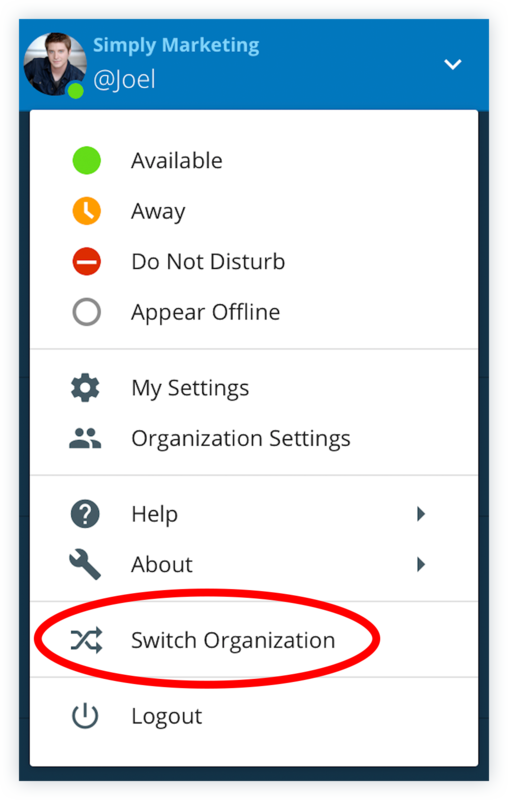 Users who are a part of multiple Ryver Organizations can easily switch between them by using the “Switch Organization” button (pictured below) found in the User Menu located at the top of the nav bar. 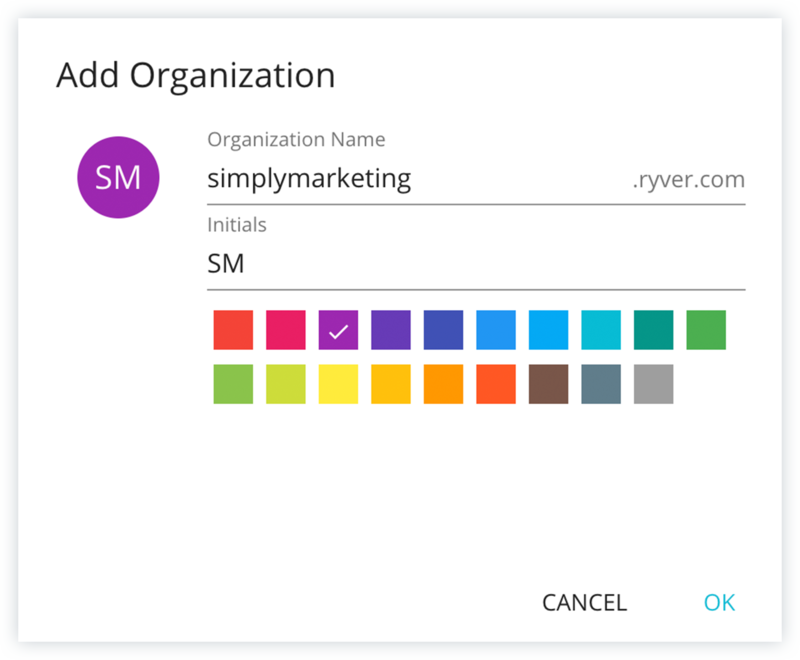 Users can login to their Ryver Organization by using the free Ryver desktop app. 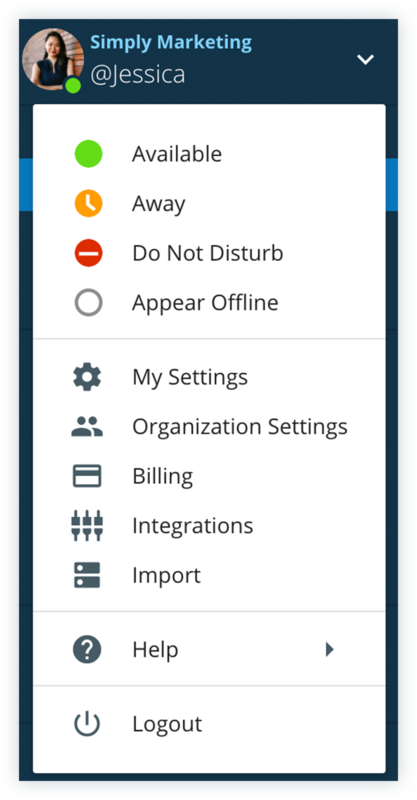 Users who are a part of multiple Ryver Organizations can easily switch between them by using the Organization Switcher Bar (located left of the Nav Bar & pictured below). 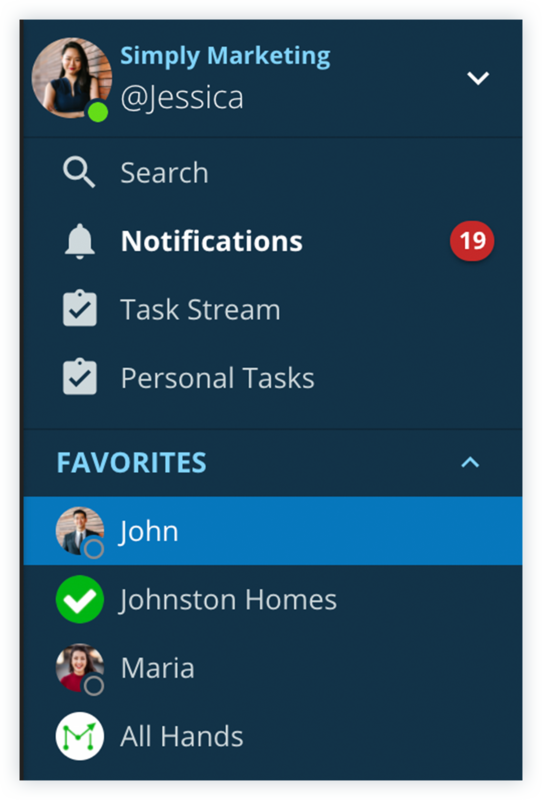 The “Navigation Bar” (“Nav Bar”) is the vertical menu on the left side of the User’s Ryver interface that provides global search capabilities, a notifications “inbox”, overview lists of topic and task streams, and conversation channels. 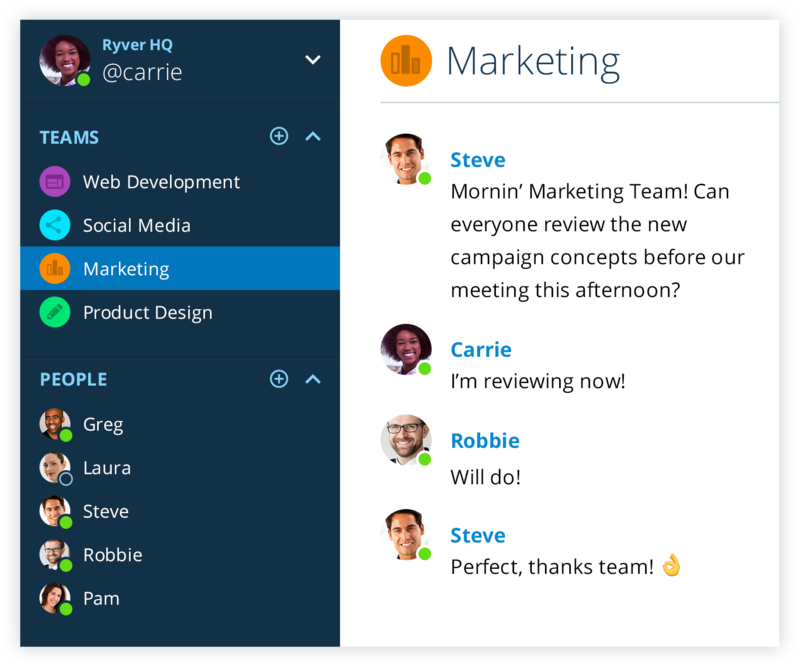 Communication channels (Forums, Teams, & People) can be “pinned” and “unpinned” to the nav bar for easy access. “Pinning” an item causes it to display in the Nav Bar. NOTE: When a new channel is created, it is automatically pinned to the nav bar. To Pin an item, Users can click on the Forums, Teams, or People section title in the left navigation bar to bring up the list of available Forums, Teams, or People. Simply click on the Forum, Team, or People channel to pin it, or select the ellipses button to the right of the channel and select “Pin to Navbar”. Conversation Channels can be unpinned by clicking the “X” icon (pictured below) to the right of the channel name in the Nav Bar. NOTE: This does not delete the channel; it merely hides it from the Nav Bar. Unpinned channels can always be repinned. Users can also “Favorite” available Forums, Teams, or People to list them at the top of the Nav Bar for quick, easy access. To Favorite a Conversation Channel, click on the section title Forums, Teams, or People in the left navigation bar to bring up a list of available Forums, Teams, or People. Then select the ellipses button to the right of the item they want to pin and select “Favorite”. Forums are for open discussions with everyone in your Organization. All Members automatically have access to all Forums. Guest users can be given access to Forums by your Administrator or the Forum creator. NOTE: Once a Guest has been invited to a Forum, they will have direct access to all Members in the Organization Forum. Click on the Forums section title in the left navigation bar to see a list of all available Forums. You can join a Forum by selecting it in the list, or by clicking the ellipses button and selecting “Pin to Navbar”. NOTE: You can join, leave, and rejoin any available Forum at any time. NOTE: You must join a Forum to be alerted of new Chat activity within it. Teams are for private conversations with specific groups of teammates. 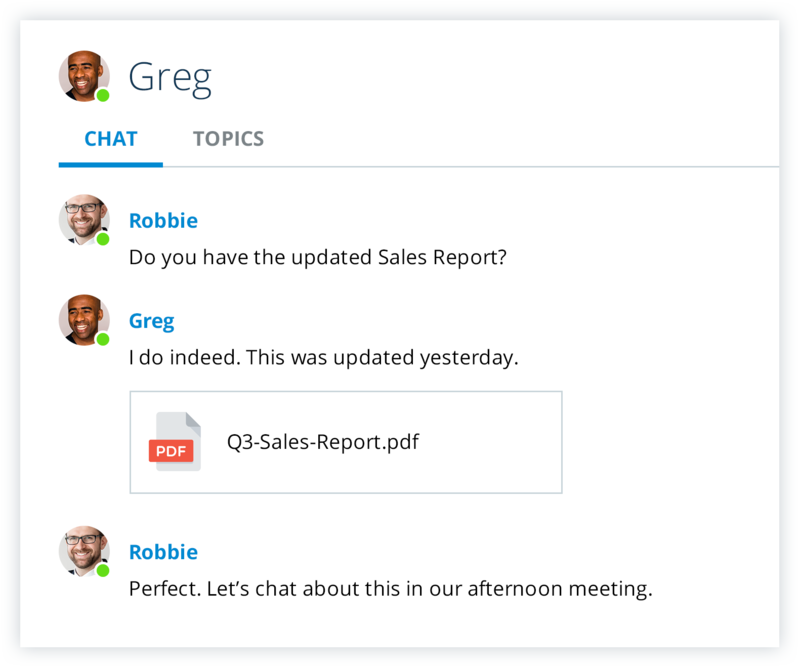 Teams are great for organizing conversations by topic, such as a team for “Sales”, “Customer Service”, etc. Users (both Members and Guests) must be specifically invited to a Team. They are automatically joined to the Team, and the Team is automatically pinned to the User’s left navigation bar. Users are alerted of new Chat activity for all Teams that remain pinned. Users can see and communicate with everyone else in the Team. 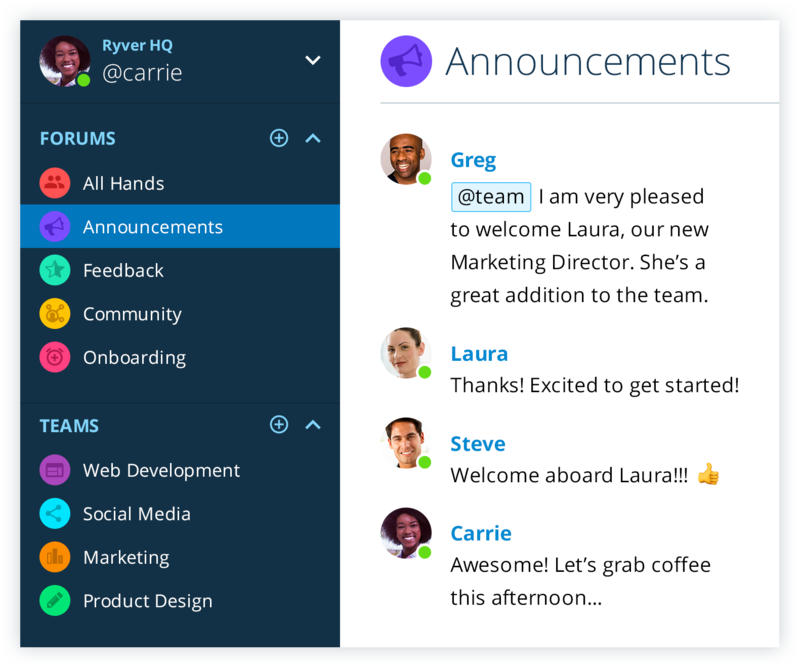 Users can see who is part of a Team by viewing the “Roster” in the right sidebar and can communicate via direct messaging in People channels with any other users in the Team. To see a list of all available Teams, click on the “Teams” section title in the left navigation bar. Here, you can re-pin any Teams you may have previously un-pinned. People is the place for one-on-one interaction with other Users. Users can access their list of available Members and Guests by clicking the “People” section title in the left navigation bar. Clicking on any listed User will begin a private conversation with them and pin the User to the navigation bar. You can unpin or pin a User (for easy access) at any time. If an un-pinned User sends you a message, they will automatically be re-pinned. All Members are available to every other Member in the Organization. 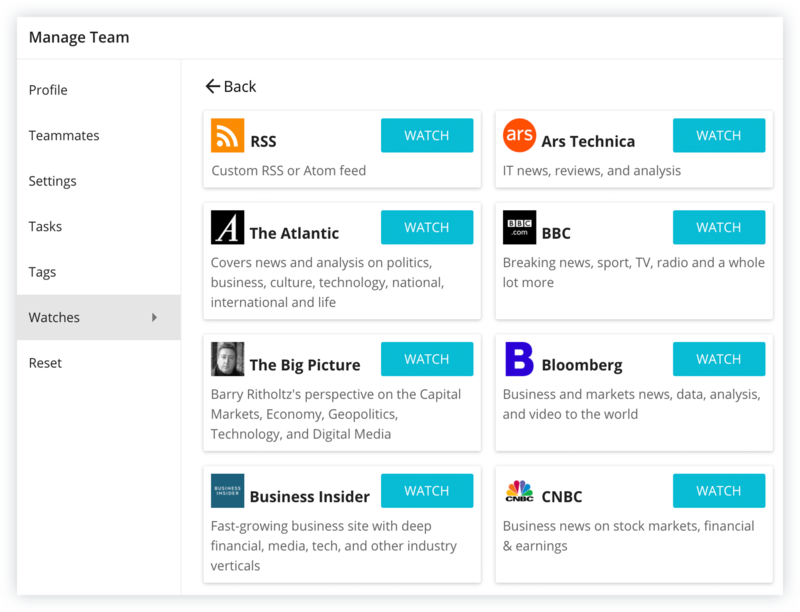 Guests with whom Users share a Forum or Team with will also appear in the People list. Chat is for quick text-based conversations with other Users. Spur-of-the-moment discussions are perfect for Chat. Uploads such as links, documents, and files (either via direct upload or file sharing sites such as Dropbox, Google Drive, etc.) can also be shared between Users through Chat. 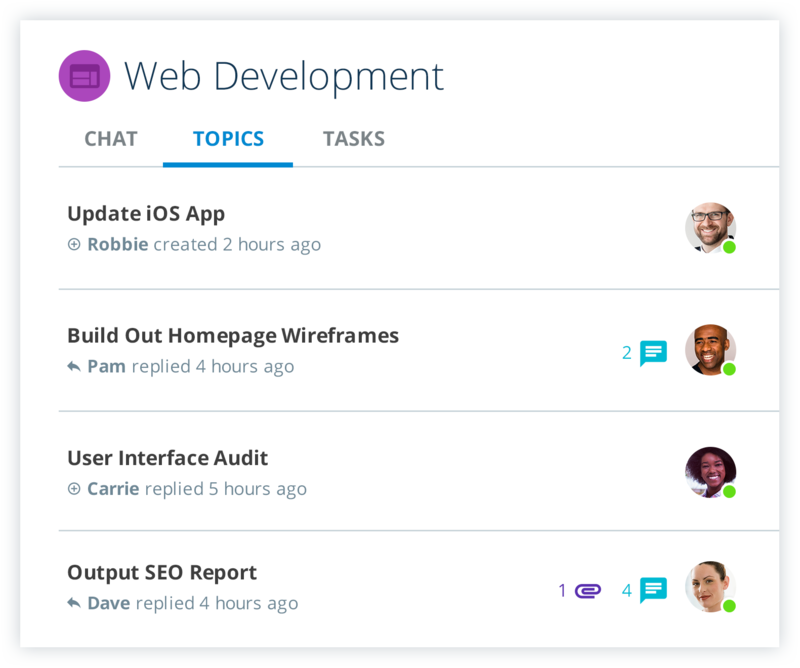 Topics are organized for specifically-focused conversations between Users. Users are able to comment to a Topic, share files, and set reminders directly within a Topic thread. Chat comments can be turned into a Topic at any time by clicking the ellipses menu on any Chat message and selecting “Create Topic”. You can select and create a new Topic from a single Chat message or multiple ones. Tasks are for turning conversations into assignable, trackable projects. Tasks can be assigned to specific individuals in your Organization. Within them, Users can communicate, share relevant files, set reminders and due dates, and track progress. The Task display style can be either a List format or Kanban Board format. The format can only be changed when first setting up Tasks in your channel. All Tasks are given a specific Task ID that can be linked to in conversations by typing “#” immediately followed by the task’s ID number. Calls are for talking with teammates via Voice and Video, including Screen Sharing. 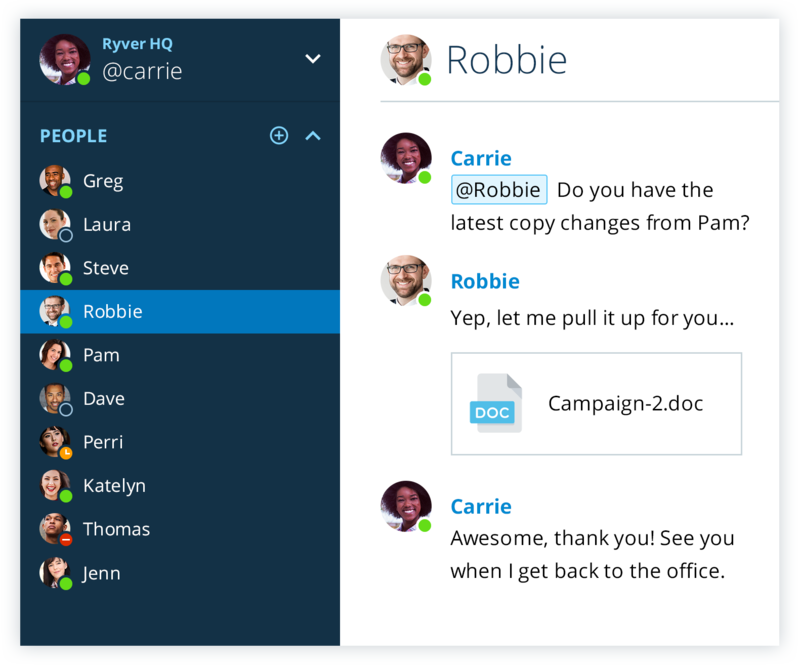 1-on-1 Calls can be made with any User available in your People list. Group Calls can be started and joined by any Member or Guest of a Forum or Team. Calls can be made in browser and through the Ryver Desktop and Mobile apps. There is no limit to the number of Users who may join a call. Limitations are dependant on Users’ network bandwidth and CPU/GPU processing capabilities. 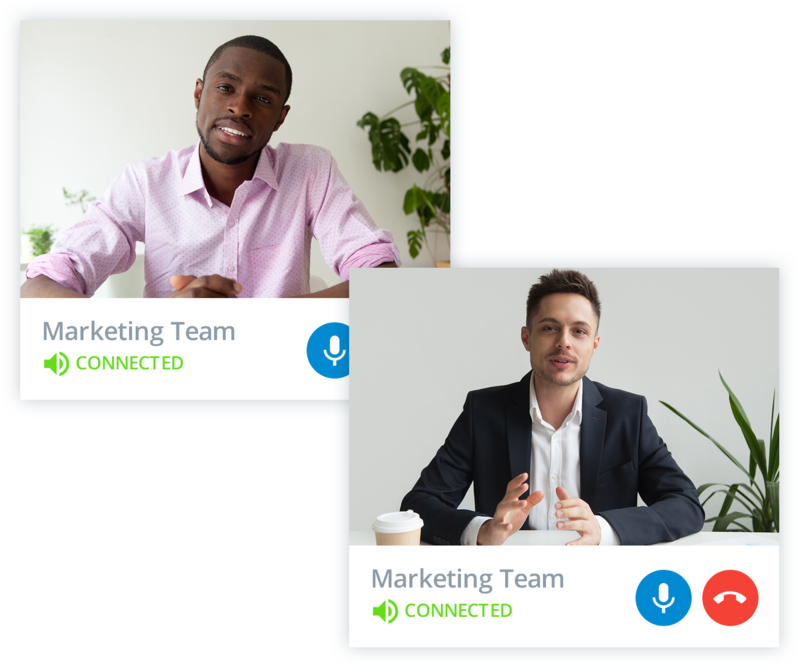 The tightest constraints are when multiple Users each share video in addition to using voice audio, which is typically limited to about 6-8 Users per call. 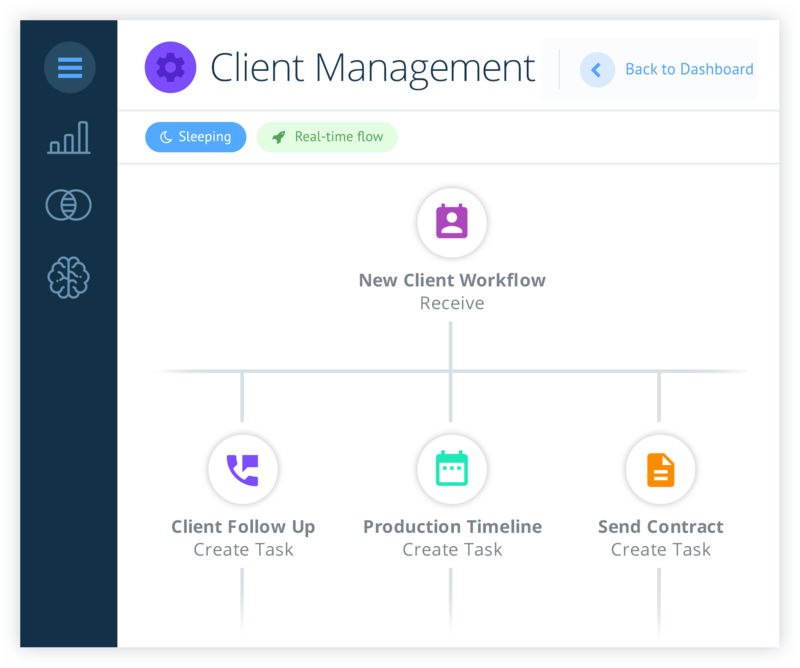 Workflow is an Enterprise feature for automating business processes through triggered notifications, task assignments, and shared app info. 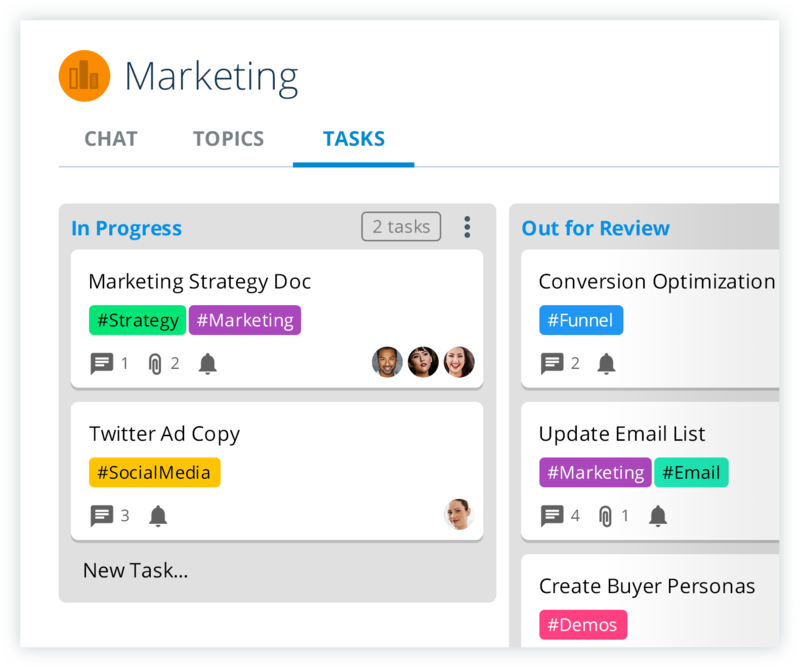 Workflow triggers enable you to automate posting messages in both Chat and Topics, create and post in Tasks, send emails, deliver information between apps, and create custom processes. Integrations are for connecting with other apps using existing plugins, or API’s and webhooks, to create custom integrations and bots. 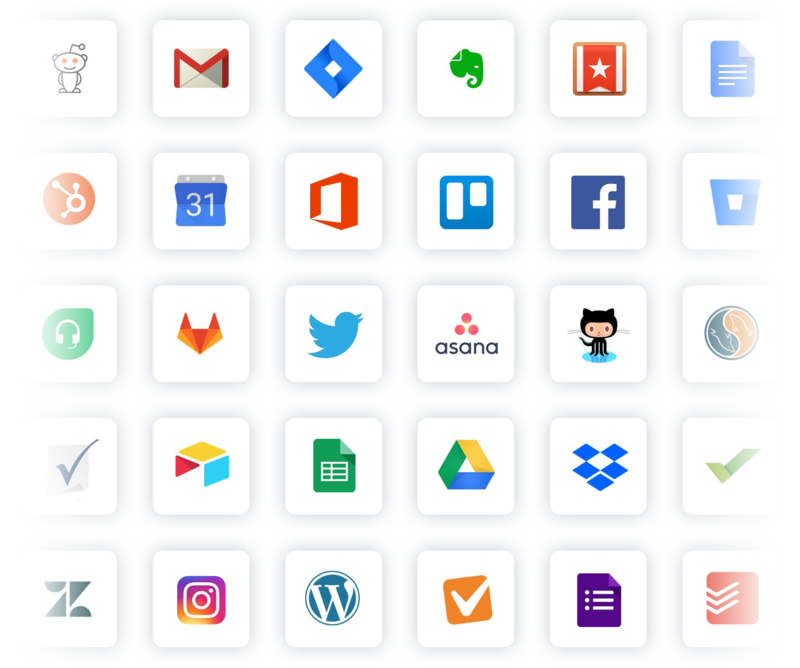 1000+ app integrations are available using Zapier. Organizations migrating from Slack can import Slack users, open channels, channel messages, files, and posts to Ryver by using our Slack Migration Tool. We support Bot Kit and Hubot bot creation frameworks. Our tool kit is in beta right now. Contact us to request access. News Streaming allows for receiving social media mentions, news articles,and RSS feed content directly into Ryver. See our Ryver News Streaming integration guide for assistance in setting this up. In the Notifications Stream, User’s can preview new Notification’s content and respond directly to it. The Notification Stream is accessed by clicking the Notifications tab in the navigation bar. 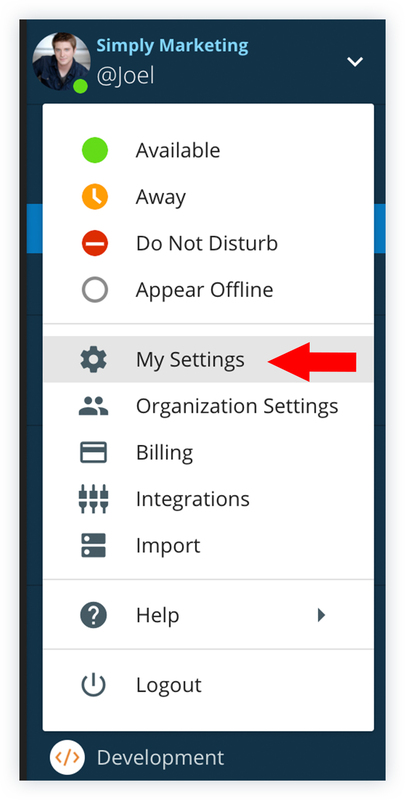 Notifications settings can be customized in the “My Settings” menu located in the User Menu. For more details on setting Notification preferences, see the “Setting My Preferences” guide. A red badge will appear next to any Forum, Team, or People tab in your navigation bar when new conversation activity occurs. A red line and the text “New Messages” will appear above all new chat messages. Users can mark any notification or message as “Read” or “Unread” by hovering their cursor over them and clicking the mailbox icon in the Notifications menu that appears to the right. Users can tag and send notifications to specific Users by “@” mentioning them. Typing “@” followed by the User’s name will tag them in a post. Ryver will provide a list of all suggested Users to choose from after typing “@”. Select the desired User to tag them in the post. To @mention all Users in a Forum or Team at once, type “@team”, and then send your message. By default, Ryver will send push notifications for all Ryver Notifications. This preference can be updated in User Menu > My Settings > Notifications > “Always send mobile push notifications even if I’m online”. By default, Ryver will send email notifications for all Ryver Notifications. This preference can be adjusted in User Menu > My Settings > Notifications > “When I’m Offline”. The User Menu can be opened by clicking the drop-down button located at the top of the navigation bar. My Settings — Edit account information, preferences, and defaults. Organization Settings (Account Owners & Admins only) — Manage Users, Teams (Enterprise Plan only), Permissions, Preferences, Billing History, Task Users, SSO, News Streaming, and Signup Links. Billing — Manage Ryver subscription. Integrations — Set up inbound & outbound webhooks, and Zapier integrations. Import — Import Slack or HipChat data. Help — Access Ryver support resources, keyboard shortcuts, text formatting commands, and Contact Support. Logout — Logout of the Ryver Organization. Switch Organization (App only) — Switch to another Ryver Organization account. NOTE: Switching Organizations can only be done in browsers by logging out and logging in to a different Organization URL. It can be done in desktop apps by adding Organizations to the Org Switcher Bar on the far left side of the app window. You can customize your Ryver experience in the My Settings controls. My Settings provides account customization and updates to basic user settings, including notification settings, username and password, style preferences, and more. For a more detailed breakdown of My Settings, please see our Setting My Preferences guide.